By: Shaune D. Fraser, Esq. On Friday, April 5, the United States Citizenship and Immigration Services (USCIS) announced that it had already received sufficient filings for regular H-1B cap-subject cases for fiscal year (FY) 2020. The filing period for cap-subject H-1B petitions opened on Monday, April 1, and for the seventh consecutive year, the general cap was reached within the first week of filing. USCIS will now conduct a lottery to select those petitions that will be adjudicated. Beginning this year, USCIS will officially reverse the order of the general and advanced degree lotteries, prioritizing advanced degree holders in the selection pool. Over the past decade, the H-1B visa has been the most practical bridge to employment for graduating students at U.S. academic institutions (F-1 visa holders). However, recent USCIS statistics indicate that 60% of H-1B cases received RFEs (Request of Evidence) in FY 2019 and 40% of those were subsequently denied. These historically high denial rates and the changes to the selection order under the H-1B visa lottery stem from the Buy American and Hire American Executive Order which has resulted in heightened scrutiny during adjudication, specifically as it relates to the interpretation of a specialty occupation, the qualifying employer-employee relationship, and whether the foreign national beneficiary has maintained status. Foreign nationals, in any field of endeavor, who have been recognized for their achievements or outstanding work, in the U.S. or internationally, should consider the O-1 visa in lieu of the H-1B. An O petition may be approved for up to three years, and extensions may be granted indefinitely for long-term projects or assignments. Currently, there is no annual limit on O visa numbers. For more information, check out this Blog post. In a precedent decision issued in December 2016 (Matter of Dhanasar), the USCIS Administrative Appeals Office (AAO) announced a new analytical framework that has made this green card classification more broadly available to students and professionals pursuing entrepreneurial endeavors in the U.S. national interest. Canadian and Mexican citizens who will perform professional assignments in the U.S. are eligible for the TN visa. A TN petition may be valid for up to three years and can be filed with USCIS, or directly at select ports of entry. The North American Free Trade Agreement (NAFTA) specifies the list of occupations, as well as the corresponding educational and/or licensure requirements, many of which are aligned with the careers of graduating undergraduate or graduate international students. This category permits a U.S. company to temporarily transfer certain employees from a foreign affiliate abroad. The employee must be offered employment in either an executive/managerial position (L-1A) or in a specialized knowledge position (L-1B) to qualify for this classification. The foreign national must have been employed by the qualifying foreign corporation for at least one continuous year within the previous three years. In addition to the above-referenced visas, there remain a variety of other visa and green card classifications available to those applicants encountering issues with their H-1B petitions. Some of these categories include the EB-1 green card for individuals of extraordinary ability, P-1 visa for athletes and entertainers, E-1/E-2 visas for treaty traders/investors, and B-1 visa for business visitors. The U.S. remains the global leader in attracting the most talented students and professionals, however, increased scrutiny and restrictionist policies have imposed significant hurdles to those intending to advance their professional careers with U.S.-based corporations. Foreign nationals are advised to begin planning their professional careers well in advance of their anticipated graduation date and, when possible, explore other U.S. immigration categories in order to accelerate their post-academic, professional careers. The information provided herein is for information purposes only. It is not intended as legal advice for any particular situation nor presumed as indefinitely up to date. Copyright © 2019, FRASER IMMIGRATION LAW, PLLC. All Rights Reserved. The United States Citizenship & Immigration Services (USCIS) announced that it will continue to use the Final Action Dates chart in the Department of State (DOS) March 2019 Visa Bulletin for all employment-based (EB) Adjustment of Status filings in the month of March, as opposed to the Dates for Filing Chart used in previous months. According to this Visa Bulletin, the final action dates for EB1 India and China will advance slightly to Feb. 22, 2017, while EB1 Worldwide will move to Jan. 1, 2018. In the EB2 categories, China will advance 3 months to Jan. 1, 2016, India will advance 3 days to Apr. 9, 2009, and EB2 Worldwide will remain current. The EB5 category remains current for India and EB5 worldwide, while China and Vietnam advance to Sept. 8, 2014 and Jul. 15, 2016. The Dates for Filing Chart in each Visa Bulletin are a projection of where the Final Action Date is expected to be 8-12 months in the future. Just a few days ago, the DOS Liaison Committee provided a report of its monthly check-in with Mr. Charlie Oppenheim, DOS Chief of Visa Control and Reporting Division. Mr. Oppenheim emphasized that due to the continuing high level of demand for the EB1 category, minimal if any movement is expected in the month of March for EB1 categories, especially EB1 China and India. During the first 3 weeks of February, the level of demand for EB1 exceeded that received for all of February 2018. In January, following the publication of the February 2019 Visa Bulletin, demand increased by over 50%. Due to the oversubscription of these EB1 categories, current/future applicants with expiring nonimmigrant status or immediate work assignments should seek legal advice. Effective March 11, 2019, USCIS will require all applicants requesting an extension or change of status to submit the revised Form I-539 and Form I-539A. USCIS will only accept the revised edition of the form and will reject all prior versions. Historically, USCIS has implemented reasonable transition period during which time it has accepted prior form editions. However, applicants now run the risk of having their applications rejected for failure to submit the updated forms or new fee, which could jeopardize eligibility for future immigration benefits. Form I-539 is used by a wide variety of nonimmigrant foreign nationals to change or extend their underlying nonimmigrant status, including those changing to F, J or M status, B.1/B.2 visitors, and dependents in O, E, L, and H classifications. The revised Form I-539 has two significant changes: (1) a new signature requirement for all applicants, including minor children; and (2) a mandatory biometrics requirement (fingerprints and photo) for all applicants. A Form I-539 application to extend or change status is only valid if nonfrivolous and timely filed while the applicant still holds valid nonimmigrant status. During the pendency of application, the individual remains in a period of authorized stay until USCIS adjudicates the pending form. Once approved, the decision applies retroactively and any lapse in status is cured. If the application was untimely and subsequently denied, unlawful presence begins accruing on the date the I-94 expired, regardless of the reason for the denial. Similarly, if denied because the application was frivolous or due to unauthorized employment, any and all time after the Form I-94 expiration date will count towards the unlawful presence calculation. The Department of Homeland Security (DHS) recently sent the long-anticipated proposal to rescind the H-4 spousal employment authorization (EAD) regulation to the White House of Management and Budget (OMB) for review – the next step in the termination of the program. Once cleared, details of the proposal will be published in the Federal Register for public comments during which time stakeholders will have the opportunity to submit comments to DHS. The proposed regulation would not have an immediate impact on H-4 spouses. Eligible H-4 spouses can still apply for new or renewed EADs under the current rules until further notice. DHS has not yet indicated whether the rule will allow for a transition period for current H-4 EAD holders to continue working. H-4 holders should be aware that the termination of the program could come within months of the release. USCIS recently submitted Form G-1530 USCIS Tip Form for comment in the Federal Register, a form that would enhance agency information collection activities. Form G-1530 would affect both employers and individuals and would facilitate the collection of information from the public regarding credible and relevant claims of immigration benefit fraud impacting both pending adjudications as well as previously approved benefits where the benefit remains valid. In recent months, processing delays by U.S. Citizenship and Immigration Services (USCIS) and the U.S. Department of State (DOS) and changes in U.S. Immigration policies have had profound effects on foreign national students and professionals. The Impact of the USCIS Unlawful Presence Policy on Students (F, M visas) and Exchange Visitors (J visas). In August 2018, USCIS drastically altered its policy on the calculation of unlawful presence for F (student) and M (vocational student) visa holders, and J exchange visitors. Those in F, M and J status are typically admitted for a period of authorized stay known as duration of status (D/S), rather than up to a specific date. Under previous longstanding policy, a violation of status (early termination of studies, unauthorized activities, etc.) did not render such individuals unlawfully present. The unlawful presence calculation only began after a formal determination by the government that the individual was out of status (if admitted in D/S). However, under this new USCIS policy, calculation of unlawful presence automatically begins the day after any violation or the day after completion of the course of study or program, including any authorized practical training and grace period. Those in F, J and M status should exercise caution to avoid all unlawful presence triggers and track all time where they failed to maintain lawful status. Failure to do so could subject these foreign nationals to the 3-year, 10-year, or permanent bars to re-entry. The transformation of USCIS into an extension of the Immigration & Customs Enforcement (ICE) agency. Traditionally, USCIS has been the federal agency charged with the adjudication and granting of immigration benefits (citizenship, green cards, visas), while ICE is the agency that enforces immigration laws, including orders related to deportation. The functions of these two agencies have generally been kept separate based upon the premise that a foreign national should be able to apply for an immigration benefit without fear of being deported. However, through the release of a recent policy memo, the functions of USCIS now overlap with those of ICE such that the processing of a visa or citizenship application could result in the issuance of a Notice to Appear (NTA) for those foreign nationals who have failed to maintain legal status. An NTA is a charging document that compels a foreign national to appear in Court for removal proceedings. USCIS Processing Delays. According to the January 2019 report by the American Immigration Lawyers Association (AILA), the average case processing time increased by 46% over the past two fiscal years (FY), and by 91% since FY 2014. Additionally, case processing times continued to increase in FY 2018, despite sizeable decreases in case receipt volume. USCIS now accepting both Negative O & P Consultations. In September 2018, USCIS began accepting copies of unfavorable/negative consultation letters directly from labor unions for O.1 visas (individuals of extraordinary ability). On February 8, 2019, USCIS announced an extension of this practice to include P visas (artists, athletes, and entertainers). Consultation letters are listed among the initial evidentiary requirements for P and O visas, failure to include such documentation could prolong processing or result in a case denial. The Department of Homeland Security (DHS) announces Final Rule for H.1B Cap & Lottery Cases. On January 30, 2019, DHS published the final rule (effective April 1, 2019) to amend the process for selection of H-1B visa petitions subject to the annual numerical “cap”. Pursuant to this rule and in furtherance of the “Buy American and Hire American” Executive Order (April 2017), USCIS will first conduct the general lottery sufficient to meet the regular 65,000 annual cap, which will include individuals eligible for the advanced degree exemption. USCIS will then conduct a second lottery for the remaining eligible petitions, which will be limited only to those U.S. advanced degree holders seeking one of the 20,000 cap exemptions. Is the O.1A Visa the best option for Business and Tech Professionals? For tech, business, and corporate professionals, and even some F.1 students and J.1 exchange visitors, the O.1A classification has emerged as an increasingly popular visa category in lieu of the H.1B. Each year, hundreds of thousands of foreign nationals are immersed in the burdensome process of obtaining a U.S. employment visa. Due to the sheer volume of H.1B applications, these professionals often encounter employment and travel-related issues during this season. In 2018, the congressionally mandated limit of 85,000 H.1B visas (65,000 cap-subject & 20,000 advanced degree exemption) was reached within 5 business days. Later this year, in August, USCIS announced an extension of its suspension of the premium processing program for all FY 2020 H.1B cap-subject applicants and expanded it to include additional petitions. The USCIS premium processing service allows employers to pay an additional $1,410 filing fee for expedited processing within 15 calendar days and has traditionally included H.1B petitions. To further complicate this situation, USCIS has reinterpreted the definition of an H.1B “specialty occupation” to exclude positions that were approved in years past. As a result, U.S. employers have received significant increases in requests for evidence (RFEs), adding further complexity, expense, and uncertainty to this onerous process. Unlike the H.1B visa, the O.1A classification has no annual numeral limitation/cap and there is no visa lottery. This 3-year employment visa is reserved for individuals who possess extraordinary ability in the sciences, education, business, or athletics. Per the regulations, “extraordinary ability” is exhibited through a showing of sustained national or international acclaim and a demonstrated record of achievement. Receipt of a national or international award. Moreover, the USCIS premium processing program remains available to O.1A applicants, allowing for approvals to be secured very quickly (within 15 days) once the requisite documentation is obtained. Despite the restrictive effects of the Buy American and Hire American (BAHA) Executive Order and associated policies on immigration categories such as the H.1B, the O.1A visa remains a viable option for tech, business, and corporate professionals, and could be the best employment-based immigration option for qualifying foreign nationals. For more information on the O.1A category or any other immigration options, please contact me at shaune@fraserpllc.com. ­­­Copyright © 2019, FRASER IMMIGRATION LAW, PLLC. All Rights Reserved. Press Release, U.S. Citizenship and Immigration Services, USCIS Reaches FY 2019 H-1B Cap (Apr. 6, 2018), https://www.uscis.gov/news/alerts/uscis-reaches-fy-2019-h-1b-cap. Press Release, U.S. Citizenship and Immigration Services, USCIS Extends and Expands Suspension of Premium Processing for H-1B Petitions to Reduce Delays (Aug. 28, 2018), https://www.uscis.gov/news/uscis-extends-and-expands-suspension-premium-processing-h-1b-petitions-reduce-delays. American Immigration Council, Challenging USCIS “Not a Specialty Occupation” H-1B Petition Denial (October 16, 2018), https://www.americanimmigrationcouncil.org/litigation/challenging-uscis-not-specialty-occupation-h-1b-petition-denial. U.S. Citizenship and Immigration Services (USCIS) Office of Business Liaison, Employer Information Bulletin 15, “Aliens with Extraordinary Ability (O-1) and Accompanying/Assisting Aliens (O-2)” (Dec. 8, 2004), 82 Interpreter Releases 180-84 (Jan. 17, 2005); Legacy INS, J. Bednarz (Sept. 29, 1992), 69 Interpreter Releases 1471-72 (Nov. 16. 1992). U.S. 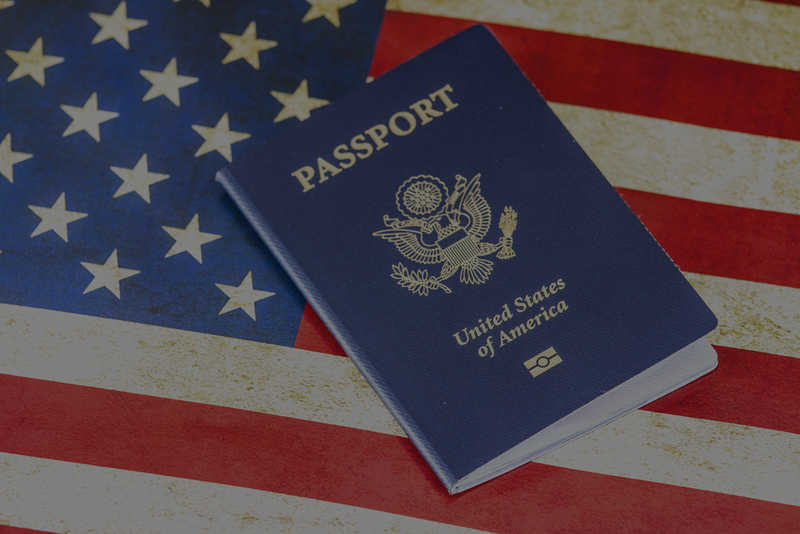 Citizenship and Immigration Services, O-1 Visa: Individuals of Extraordinary Ability or Achievement, https://www.uscis.gov/working-united-states/temporary-workers/o-1-visa-individuals-extraordinary-ability-or-achievement. See Exec. Order No. 13788: Buy American and Hire American, 82 Fed. Reg. 18837, 18839 (April 18, 2017).